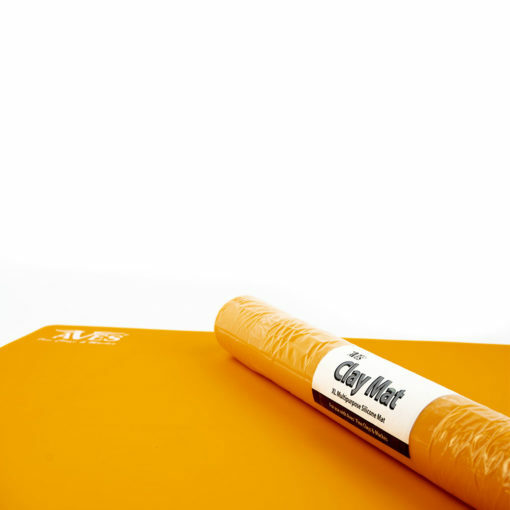 The Aves® Clay Mat is the perfect multi-purpose, reusable mat for crafting projects, stamping and clay! Its nonskid surface lays flat and never loses its shape making it great for protecting your counter/table top and keeps your tools from sliding/rolling off, its the perfect mess collector for all your creative needs. Top Quality, made of 100% food grade silicone, FDA and LFGB approved. Non-toxic, BPA free, antibacterial, eco-friendly & odorless! (no cheap silicone material used!) Generously sized 23.4 x 15.6 inches and 2X thicker & heavier than other mats (1.1MM thick and 0.75 lb heavy weight). Cured products will not adhere to this mat. 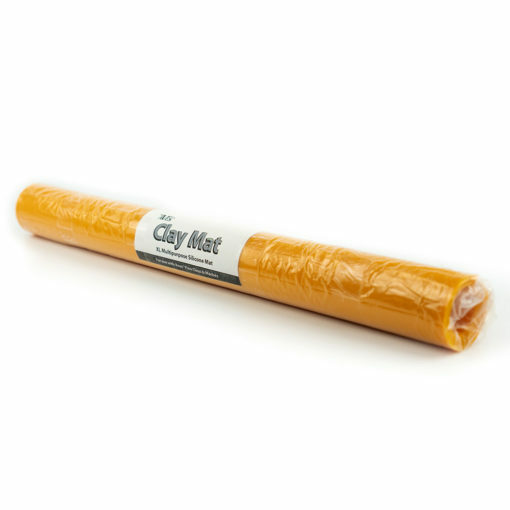 If you wish to roll clay we recommend using a release agent or plastic freezer bag in the beginning stages of the products working time, after the tackiness wears off (about 1 hour) you can roll products directly on the mat without it sticking. You may use cookie cutters and plastic rolling tools on this mat. 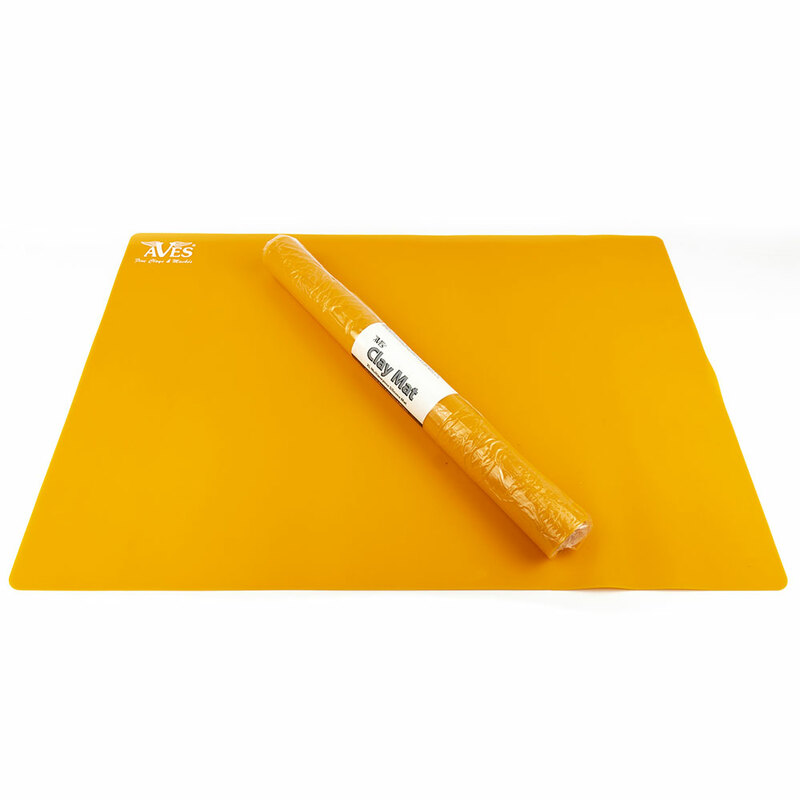 Though this is very durable we do not recommend using knives or sharp objects to cut on this mat. If desired this mat can be cut to any shape or size. Works well with paints, inks, glues and clays wipe or peal right off! Additionally there are many uses for this mat in your kitchen, home or work area, you can even cook on it! Takes heat -40 to 480 degrees F˚. Easy clean-up is a breeze with Aves® Safety Solvent or soap & water. Air dry.